A multitalented video and audio editing utility. 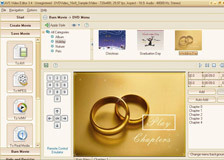 Xidea DVD Editor Plus is a nice pick for everyone who enjoys making original home videos and sound tracks. It lets users split and join video files, make slide-shows and supply them with original audio files. The software also allows applying a wealth of video effects to your project, such as color adjustment, blurring and diffusion effects, drawing frames, zoom, mirror and flip transformations and many more. Though at first sight the software may seem complex, it can be operated easily even by novices due to the abundance of in-program help. Backup the vital data on your PC. Noing Backup Data is a user-friendly tool that lets you archive your important data. It enables you to backup files and folders, registry keys, e-mails and user settings to virtually any destination. The program has a wizard-driven interface; moreover, new users will appreciate the opportunity to view the quick tour. Besides, the program scores points for its free price. Read the full review. What does the OK gesture mean in Japan? Why shouldnâ€™t you salt your food when invited for dinner to an Egyptianâ€™s home? What should you not ask when interviewing an Indian candidate for a job? 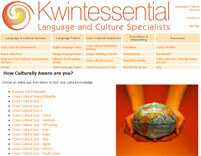 Find answers to these and many other questions in an online resource providing heaps of useful information on intercultural communication. Read the full review.